It’s shaping up to be a great Friday, at least in my book. 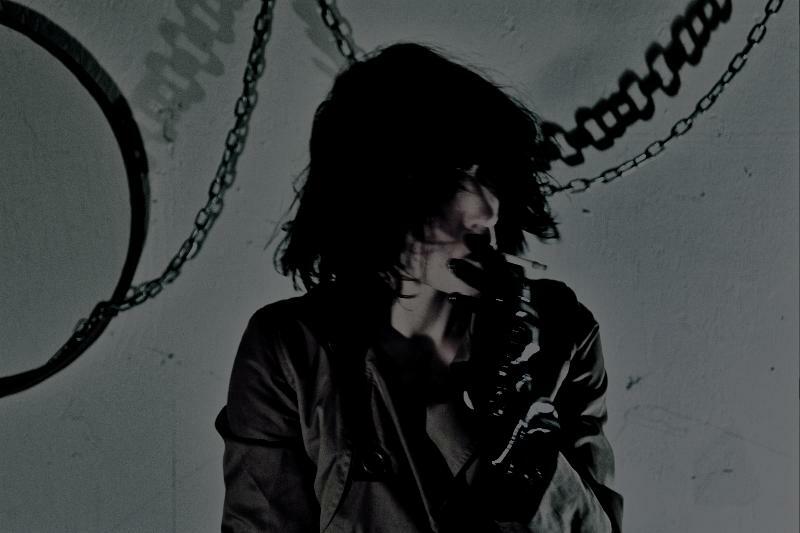 New Ramesh tune, and now a new Wax Idols tune! 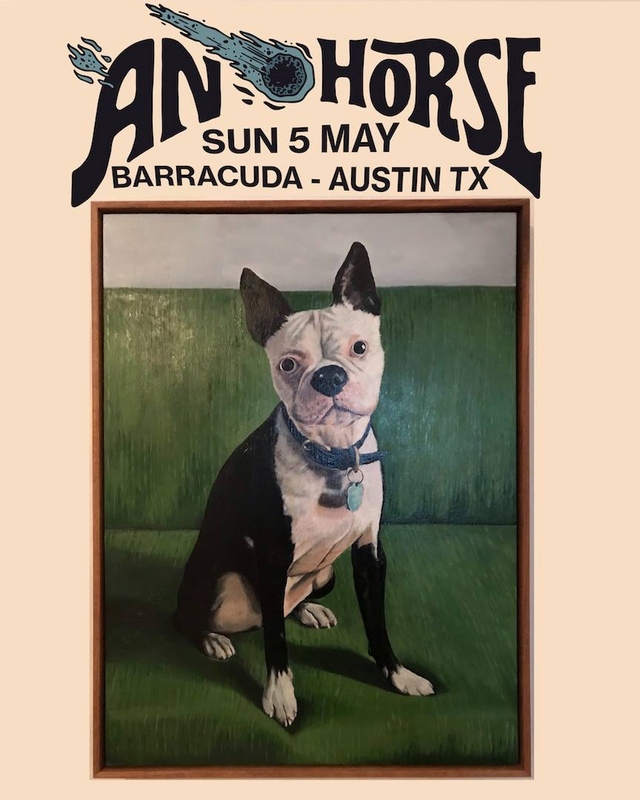 The last we heard from Hether Fortune and her project was with the band’s second album, Discipline & Desire, so now they’re rearing up to release a new effort, American Tragic. I’ve been a fan of Fortune’s all along the way here, and it’s been interesting to watch her songwriting progress…moving beyond the group’s earlier garage tendencies into this brooding pop masterpiece. It might be the group’s most accessible tune to date, but I love how you can still see the path that Fortune’s music took to get to this place. Pretty excited for the new release, which comes out on October 16th via Collect Records. If you’re looking for a repeat of Wax Idols last record, No Future, then you should probably take a second to reflect before you press play. There are hints, though slight, of the band of old, but Hether Fortune and her band mates have come to give you something entirely new with Discipline & Desire; it’s refreshing to see a group push themselves, no matter what the risks. “Stare Back” immediately puts you on your back foot, opening with discordant noise and a bubbling post-punk bass line. Fortune soon enters with an echoing wail. The repetition of “stare back” is met each time with an emphatic drum hit. Swirling vocals come in and out of the foreground, but what’s most noticeable is the tracks exploration into a noisier punk realm. 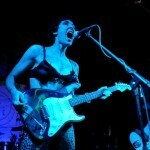 But, just because Wax Idols have opted for a heavier-handed approach doesn’t mean there aren’t inherent pop hooks, which you’ll find immediately following the album’s opener on “Sound of a Void.” Personally, I love the way the guitar parts work together, weaving a pristine pop hook between the distorted wall of guitar noise. Also, the driving delivery of the vocals approached the anthemic attitude that was present on past efforts. They keep that attitude up with “When It Happens” by using perfectly placed backing vocals, which balance Ms. Fortune’s guttural singing. Three songs in and you can see that despite a darker approach, there’s still a knack for infectious tunes. I think the biggest success of Discipline & Desire is the group’s ability to travel back and forth between approachable pop and discordant post-punk. The perfect song for that hypothesis is “Ad Re Ian,” which really lives in both worlds. The verses are possibly some of the most accessible and poppy moments Fortune has put together under the Wax Idols moniker, but the choruses represent the band knack for blasting off into dangerous punk jams. Still, holding through it all is this faint dreamy vocal that supersedes every established notion; it’s probably one of my favorite moments on the record. But, if I had to pick a favorite to claim as my own, I think I’m going to stick with “Elegua.” It’s the closest thing to a ballad that lives on Discipline & Desire; I think if also demonstrates the vocal qualities of Hether, which people often overlook. There’s a gentle quality to her delivery, almost a whisper at times, that fits perfectly with the haunting meandering of the guitar, constantly being accentuated by firing of snare hits. About 2.5 minutes in, the song continues to forge its own path, pushing towards a swirling closing that really encapsulates the idea that the Wax Idols have continued to push themselves in every aspect of their sound. 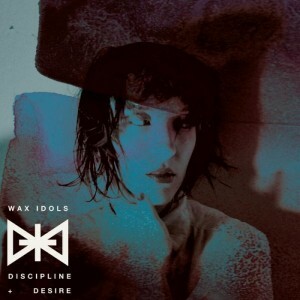 In my mind, it would have been really easy for Wax Idols to retrace their steps from No Future, which I consider a great record, although having spent weeks with this new effort, I’m glad they didn’t go that route. Discipline & Desire definitely darkens the mood at time, but the group’s ability to explore their own sound has left us, the listeners, with so much to be grateful for. It’s angry, sometimes ferocious even, but it also has a softer underbelly that will allow this album to sink deep into your heart. 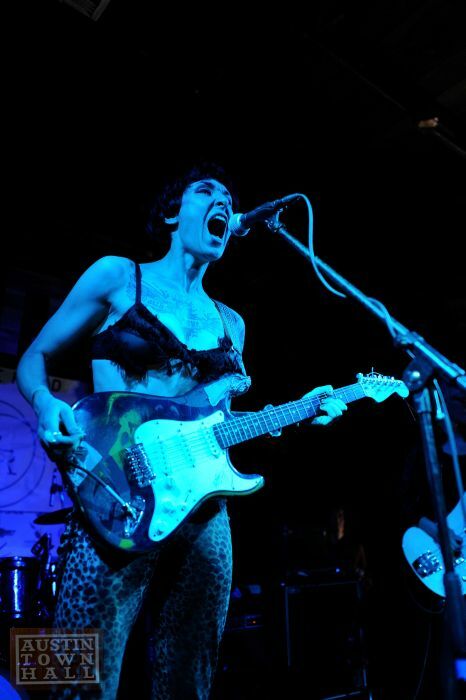 Okay, so yesterday I begged you to go see Wax Idols during SXSW, and I absolutely stand by that shout out. This new single, that just came out today, is precisely the reason that you need to get into their music. There’s definitely a black wash over this track, harkening back to a more devious time in rock n’ roll; I like the fact that listening to the group never makes me feel safe…though that’s hard to explain. Their new album Discipline & Desire is set to come out on Slumberland on March 26th, so brace yourself for an album that’s going to be spinning for you for a long time to come. It says a lot, to me at least, that among the forty emails I waded through yesterday, this Wax Idols tune was one of the standouts. I’ve adored the group for some time, and I’ve really been looking forward to this their new record, Discipline & Desire. For me, this jam completely encapsulates both sides of the band, you know–where they’ve been and where they’re going. There’s a subdued haunting introductory pop that comes back and forth with Hether calmly singing atop, but then it blasts off. 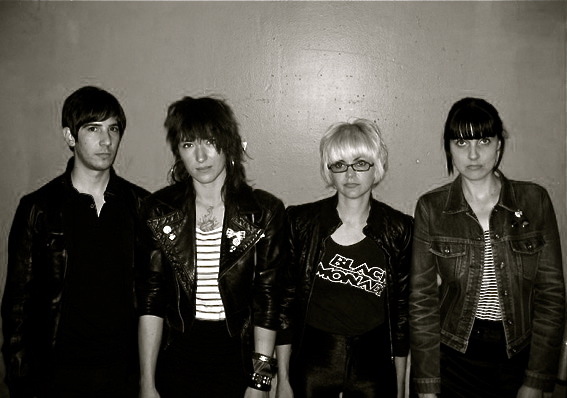 It goes into a dark post punk bit of a stomp, living a bit in the group’s sonic past. When it shoots off into the bright guitar excursion towards the end, it’s clear that they’ve got a hit. You can get the record on March 26th from Slumberland Records. With the release of No Future, Wax Idols quickly made my radar as a band to keep an eye on, and news has finally come out that the group’s second outing is being geared for release on March 26th from Slumblerland Records. Listening to the first single from Discipline & Desire, you can tell that the group has put a darker mood into the record, replacing the anthemic power-punk with a more haunting array of sounds. For one, singer H. Fortune has a more pronounced, albeit more gloomy, vocal presence, while the rest of the band does their best to round out the complete emotional state. This is shaping up to be a nice gem for your March listening pleasure.